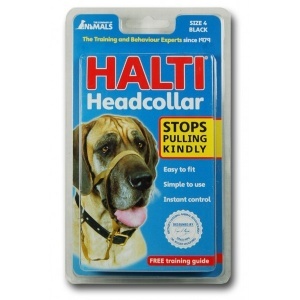 The Halti Headcollar helps calm boisterous behaviour and simplifies training. 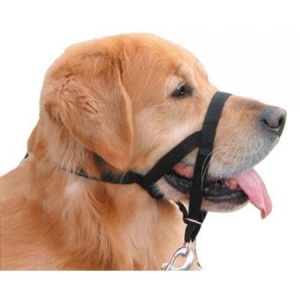 Keep control of your dog on the lead while allowing freedom to pant and yawn. Approved by vets and canine experts. Over 4 million sold worldwide. If you have a large powerful dog or one who pulls on the lead you will know just how exhausting walks can be. Dogs of all sizes can pull on the lead to the point of choking themselves. The Halti was designed by Dr Roger Mugford to come to the rescue of such dogs and their owners. Its revolutionary design is based on the same principle as a horse headcollar - if you guide the head the body will follow. Instant control. Walking becomes a pleasure for both you and your dog - no more choking and no more sore arms while you struggle to stay in control. 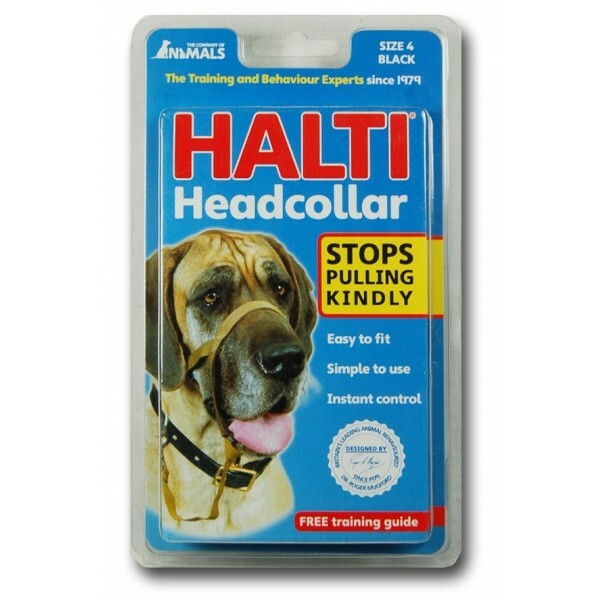 As well as making dog walking easier and safer the Halti helps with other aspects of training and problem solving by its calming effect and by allowing you gently to direct the dogs head into desired positions. Size 3 is recommended for the following breeds: Afghan, airedale, boxer, briard, chow chow, dalmatian, doberman, greyhound, German shepherd, husky, Labrador, pointers, retrievers, setters, springers, Weimaraner, and similarly sized dogs. Size 4 is recommended for the following breeds: mastiff, clumber spaniel, giant schnauzer, Great Dane, Newfoundland, ridgeback, rottweiler, and similarly sized dogs. Size 5 is recommended for the following breeds: bloodhound, large danes, mastiffs, St. Bernard, and similarly sized dogs.